Home HealthCan you Become Addicted to Sugar? Speaker 1: Now it is time to answer some common medical questions. 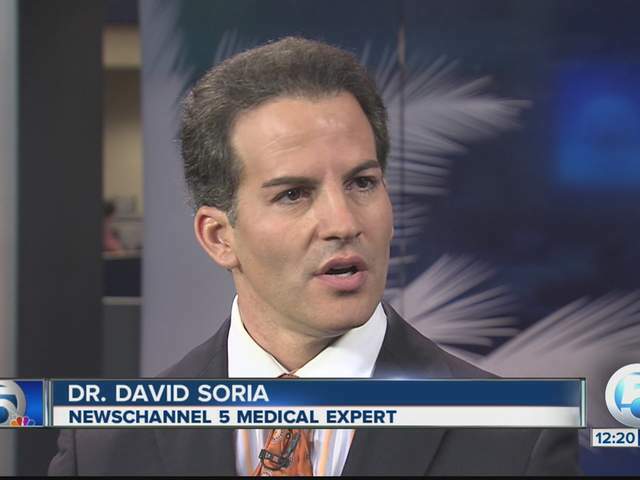 Joining us is News Channel 5’s medical expert, Doctor David Soria, the chief of emergency medicine at Wellington Regional Medical Center. Thank you so much for coming in today. Doctor David Soria: You’re welcome. Speaker 1: I hate it because we don’t have a lot of time. Doctor David Soria: That’s all right. I understand. Speaker 1: I’m told you can only ask you one question, but it is a good one. Speaker 1: Can people become addicted to sugar? Doctor David Soria: You know what? They absolutely can. Matter of fact, a lot of experts are actually saying that the addiction to sugar can actually be similar to heroin or even nicotine. Doctor David Soria: You bet it is. I mean the reality is that it’s because that sugar in your body can actually trigger the same sort of cravings or the reward circuits within your brain, so it makes you feel like you need it over and over again. Speaker 1: That’s one of those things when you eat the piece of cake and then the next day you want something else sweet. It’s because your body has that sugar? Speaker 1: I actually know some people who want dessert before dinner. Doctor David Soria: Isn’t that right? Speaker 1: It’s that sugar fix. Speaker 1: Then you start to cut it out. Doctor David Soria: Start to replace it with alternatives like fruit or some high fiber type snacks. Speaker 1: There you go. There you go. Doctor David Soria: That’ll help you wean yourself off of it. Speaker 1: Wow. Good question, great answer. Doctor David Soria: Yeah, yeah. Speaker 1: Thanks so much. Doctor David Soria: Thank you. Speaker 1: If you have a question for Doctor Soria, you can send it in by going to our website, WPTV.com, and clicking on the health link. Scroll down and on the right hand side you will see a form to write your question. Thanks for much, doctor, for coming in. Speaker 1: I really appreciate it. Have a good day.